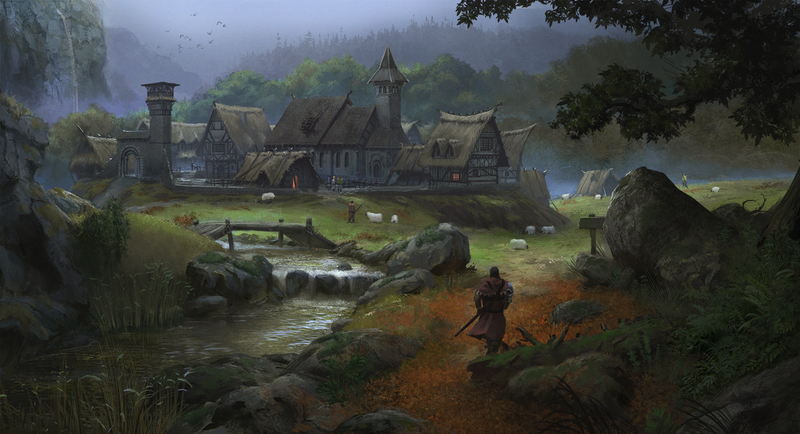 We won't be including the settlement Rorikstead, but that is some great concept art. Especially the first one. a pity, there was no mention Rorkistead around anyway. Those are awesome images spineinside. I'd love to see the first as a ruined village in Falkreath or White Hold. TES V had conflicting lore about the place. First it claimed it was founded after the Great War, with the guy it was named after being alive and well. Then, on a stone tablet, it was claimed it existed since the 2nd era. Either way, it wasn't present in the pre-TES V lore that we're based on. Agreed with Luxray. The first image reminds me of a White Hold border settlement raided by Hörme bandits.